A former female engineer at Tesla is taking the automobile and solar power manufacturer to court over allegations that the company fostered a culture of “pervasive harassment.” She also claimed the company paid her lower wages for the same work done by men. 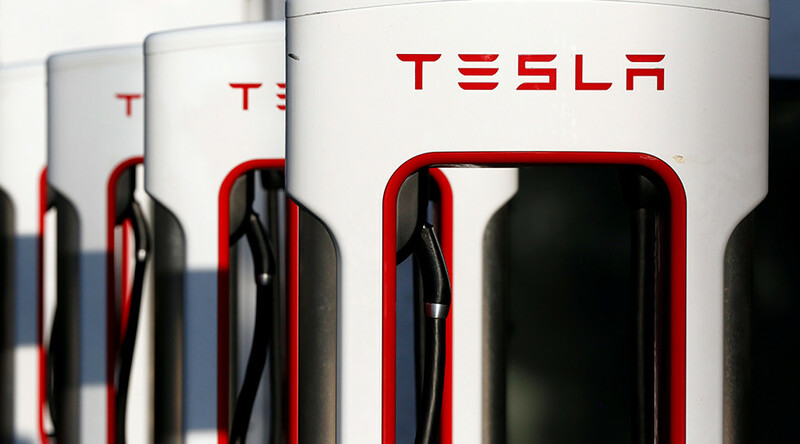 AJ Vandermeyden, who still works at the electric car manufacturer but in another capacity, filed a lawsuit in the fall of 2016 against Elon Musk’s company, claiming its culture was hostile to women. She allegedly attempted to express her concerns but was told, “We’re focused on making cars. We don’t have time to deal with all this other stuff,” the Guardian reported. Vandermeyden, 33, claimed she was frequently the only woman at meetings of as many as 40 or 50 attendees. She also said all C-level executive positions were held by men, with only two female VPs out of 30. On one occasion in 2015, a group of men gathered on a platform above her and a female colleague so that they could taunt the women as they walked past. She also claimed that she not only discovered a flaw in the testing system for vehicles but even found the solution for it. However, she claimed, the men who worked with her on the project were rewarded with promotions. When she attempted to gain a promotion, she was told she could only do so by reaching an impossible performance standard which male engineers had not been asked to reach. Vandermeyden later transferred out of the general assembly and into the purchasing department, despite having positive performance reviews in general assembly. She believes her growth with Tesla was stunted as the company retaliated after she expressed her concerns. The electric car maker also claims that Vandermeyden’s assertions about her career in the company were inaccurate, saying she had advanced in the company multiple times, including a time after she had filed her grievances. The lawsuit comes at a time when tech companies are under scrutiny for alleged gender discrimination. Last week, Uber responded to a blog post by a former employee who claimed the rideshare company had protected male colleagues against sexual harassment claims and ignored complaints from women in the company.